1. Your dog encourages you to always climb higher. 2. And to use the stairs more often. 3. Your dog will gently let you know that there is a right and a wrong way to sit on a sofa. 4. And that staying hydrated is key. 5. You will learn to value personal space. 6. And that two is the optimum number for a selfie. 7. A dog will increase your punning skills by 100%. 8. There's a time for work, and a time for play. 9. Your dog helps you to share what you have. 10. And that sharing a bed is always best. 11. A dog will teach you that beauty is only skin deep. 12. And that nature's most beautiful gift is the stick. 13. Chores should be done promptly, your dog advises. 14. But it's OK to have fun while running errands. 15. Your dog teaches you to be creative with your clothing. 16. 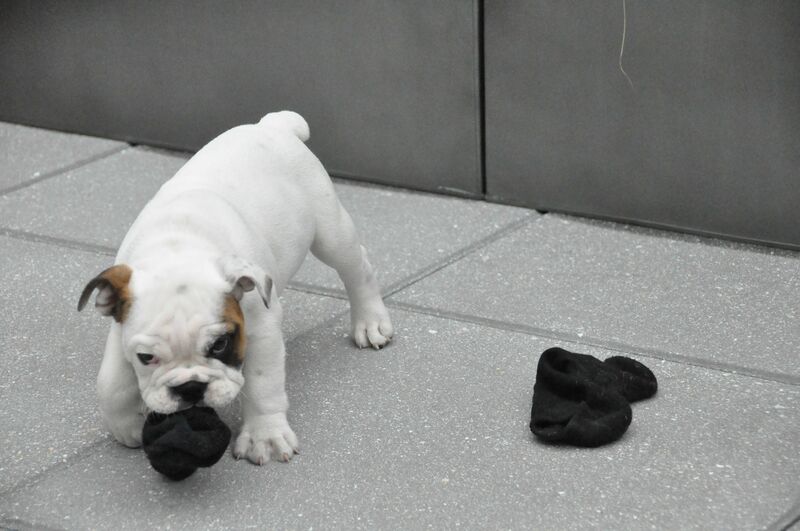 One sock is better than two. 17. A glitzy accessory will take you from day to night. 18. You'll learn to be more adventurous. 19. And that you're never too old for the things you liked as a kid. 20. You'll learn to pay attention to the world around you. 21. And when to let the world pass you by. 22. And that sometimes you have to reach for what you want, even when it seems too far away. 23. Because there is no better feeling than having enough of what you want, and a friend to share it with.